With over 50 powerups to discover and upgrade, Beach Buggy Racing 2 adds a layer of strategic depth to the classic kart racing formula. Players collect abilities like “Chain Lightning”, “Donut Tires” and “Killer Bees”; customize strategic load-outs of powerups, cars and characters; and then test their skills and abilities online against other players from around the world. 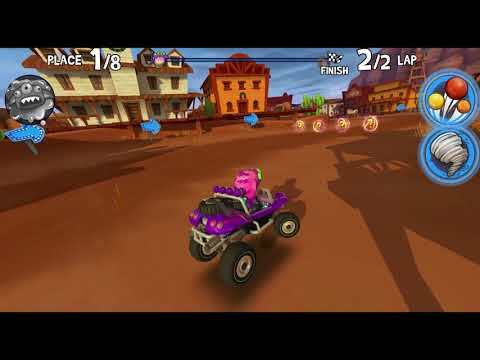 The Beach Buggy Racing 2 release date is to be announced on Android, iOS, PC, PS4, Switch, Xbox One. Notify me when Beach Buggy Racing 2 is available.